I usually keep a file on my iPhone painting app so I can work on something when I am at the store with the wife, waiting for someone to show up or sometimes, when the dog isn't too annoying, when I am watching TV. This one didn't last too long on the phone. I could have noodled it further, but I liked the loose quality of it. 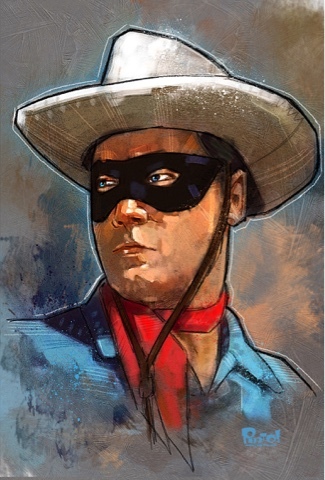 And I really love the Lone Ranger!! Had a fun and unusual commission not too long ago but I couldn't share it as it was a gift but now it's safe. 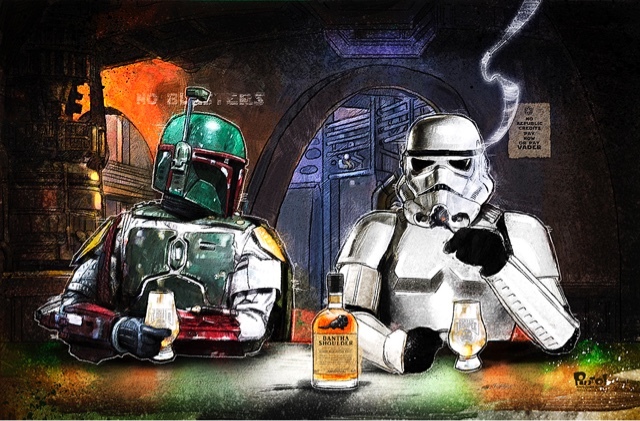 I love how this just reeks of a joke,"Boba Fett and a Stormtrooper are drinking in a bar..." . I also love the signs in the background and the fact that neither Boba nor the trooper could possibly be smoking or drinking as their masks are on. I'm glad it was well received by the recipient of the gift. Thanks for the commission Dan! It's done! 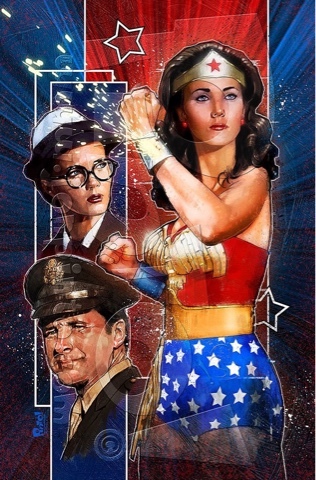 Lynda Carter in her most iconic role! If you were watching TV in the 70's, chances are you were watching this. My next door neighbor Frankie, used to rush to the TV when she spun around to become Wonder Woman because he would swear that you could catch a glimpse of her naked in the flash of light. I think I'm getting a bit off track here! Well, enjoy! And here is another coloring sheet for you!! Man! Who didn't watch Wonder Woman back in 1977?? Lynda Carter looked like she stepped right out of the comics and was a huge relief from us that sat thru the Cathy Lee Crosby TV movie a year or so prior. 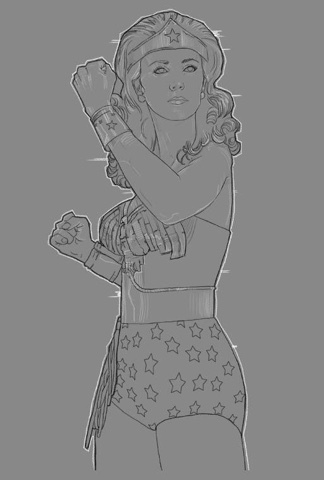 This one was actually started a while ago as I originally thought this was the Wonder Woman they wanted when I was commissioned to do the the new Gail Gadot version. Glad I finally found some time to get back to this. I really feel like I have been drawing a LOT lately. I never seem to feel like I have much to share tho. My focus for a while now has been on a "comic book" look. I always wanted to be proficient in it but always fall short of the mark. 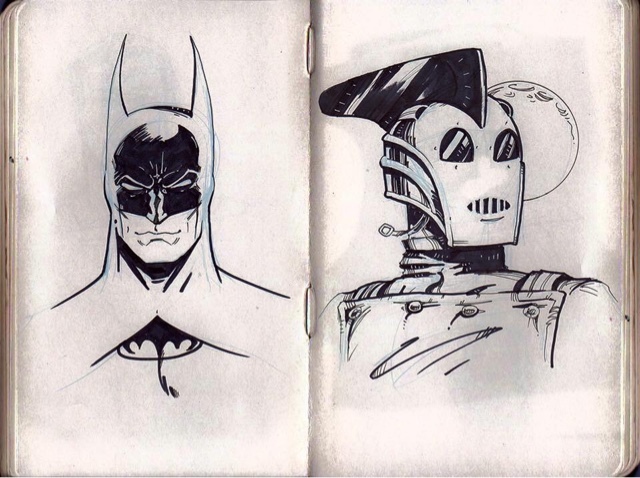 Mostly I feel it's my inking but it's probably the pencils as well. Plus it looks about 30 years out of date too as all my inspiration comes from when I was a teen. Well, Westly at least. 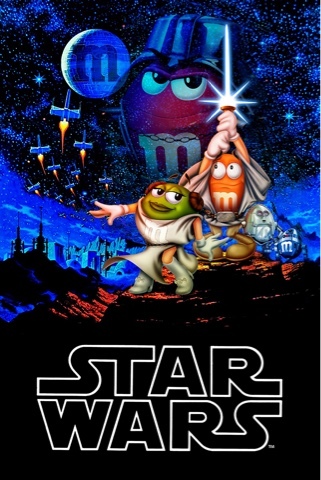 This is the last in my 1980s series that I was commissioned to do. And, of course, here is the pencil drawing. 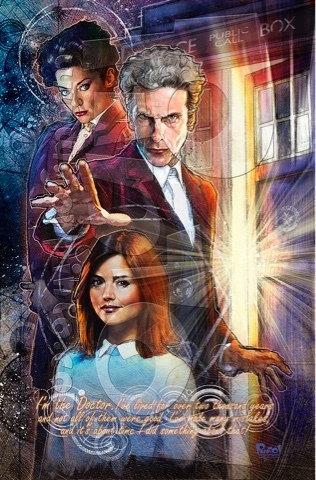 I don't really want to start a long discussion about the last several seasons of Doctor Who, but I will say that I love Peter Capaldi in the title role and I have always liked Clara. I was relieved to find myself totally loving Michele Gomez as Missy!! I will continue to ponder what we could have had if she was not the latest incarnation of The Master tho. I mean, what if we could still have John Simm as The Master and then The Rani could have been...., ah! I'm rambling. 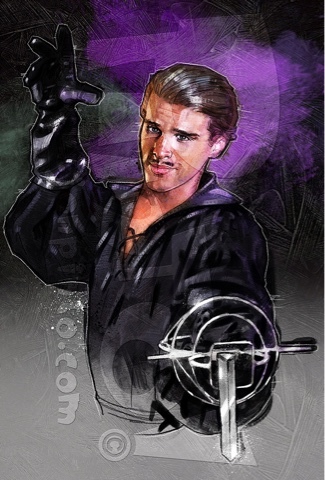 So here is my new pic and I am pretty pleased with the results. Enjoy!! Here is the final pencil drawing. And look!! Another coloring sheet!! Go ahead and give it a go!! 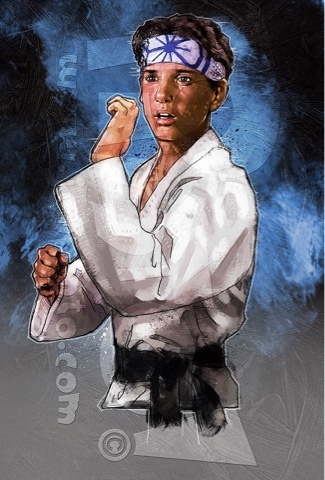 Another in my series from the 1980s movie collection, The Karate Kid! The weird thing about my memories of this movie is that I was really confused that this had nothing to do with the Legion of Superheroes. I was that much of a comic book nerd. I don't remember seeing this one in the theater, but I must have watched it a million times when it first came on cable TV.